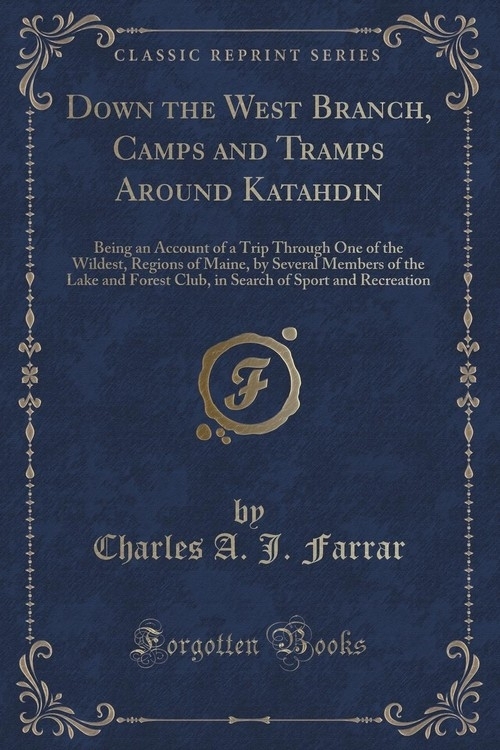 Opis: Down the West Branch, Camps and Tramps Around Katahdin - Farrar Charles A. J. In this volume our party of Boston boys, who are now all members of the "Lake and Forest Club," make their third visit to the Maine Wilderness, and find excellent sport, as formerly. But on the latter part of their trip they meet with an unusual adventure, attended by several unpleasant experiences to two members of the party. Later on, this develops into an exciting drama, in which every one takes part; but it winds up very much to the satisfaction of the younger actors, and, we hope, to that of the reader. This volume introduces the Club and the reader to an entirely different portion of the Pine Tree State, the intention of the author being to lay the scene of each book in a new section of country, not only upon general principles, but also to try and give the reader an adequate idea of the vast amount of wilderness there is to-day in northern New England, whose territorial extent is scarcely conceived by a large portion of the public. Szczegóły: Down the West Branch, Camps and Tramps Around Katahdin - Farrar Charles A. J.
Autor: Farrar Charles A. J.
Recenzje: Down the West Branch, Camps and Tramps Around Katahdin - Farrar Charles A. J.